The Egg is a sculpture by Andre Ferron which was uploaded on January 13th, 2010. For this original fired clay sculpture I have used clays of different colors. 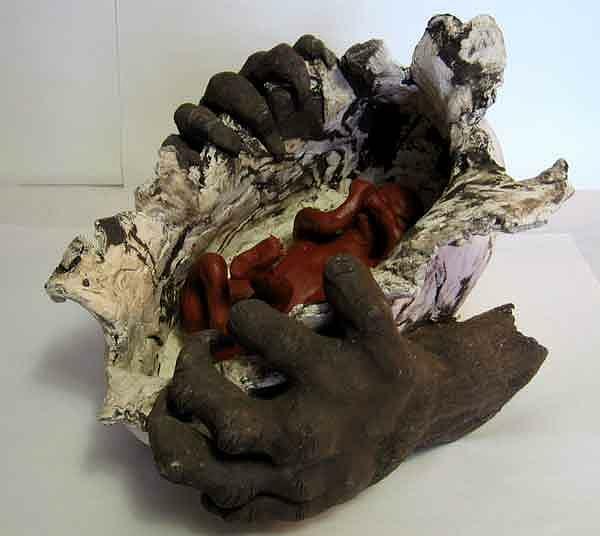 The baby in the egg is made of fired red earth and has been covered with a fine coating of natural wax encaustic. Excellent piece of art Andre.. I find this one makes me think of the fragility of life itself..